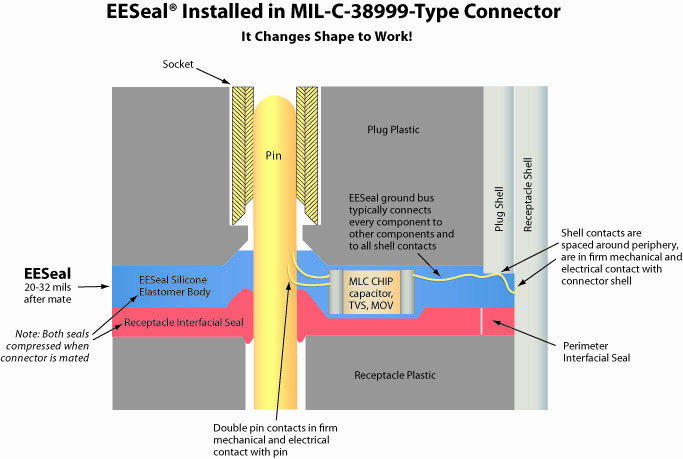 EESeal® FilterSeals EMI Filter inserts for connectors are an easy retrofit compared to bulky adapters, filtered connectors, and other traditional EMI Filters. Our EESeal® EMI filters (and Transient Suppressors) are made of resilient silicone rubber that is quick and easy to install, even in the field. Their patented construction allows them to survive even extreme environmental abuse. And by using just your finger tip, you can retrofit install an EESeal® FilterSeal EMI Filter Insert in your connector in just seconds unlike the bulky EMI Filter adapters, filter connectors, and other EMI Filters of the past. 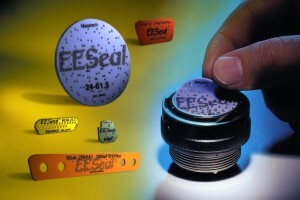 Virtually “invisible” once installed, EESeal® FilterSeal EMI Filter Inserts for connectors are made of the same super-resilient material used in the interface of high-reliability, ruggedized military connectors. 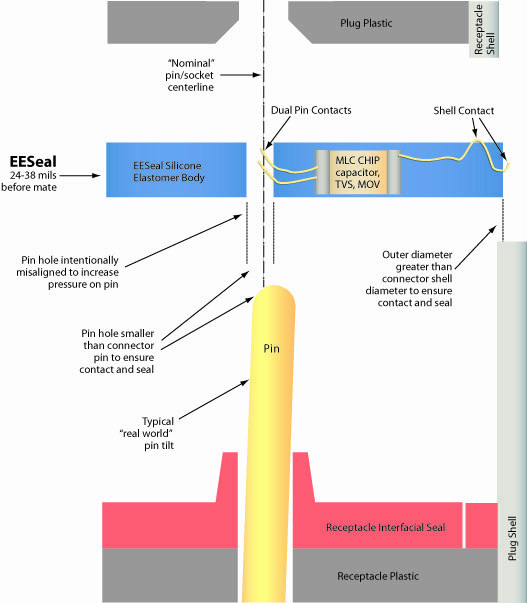 Download a Detailed Briefing about EESeal®‘s unique construction and fit. 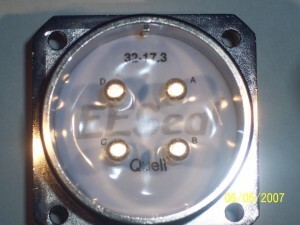 EESeal® FilterSeal EMI Filter inserts for connectors are better retrofit EMI filters than filter adapters or other types of EMI Filters and are easily installed and removed in the field by non-expert personnel, without special tools. Withstands an onslaught of MIL-STD and DO-160C mechanical and environmental conditions, such as vibration, shock, salt-spray, thermal-cycling, etc. Skolnik technical Training Institute uses EESeals in their class demonstrations to show how fast and effective EMI and ESD issues can be mitigated with an EESeal® from Quell. See how it works for yourself in this short video. 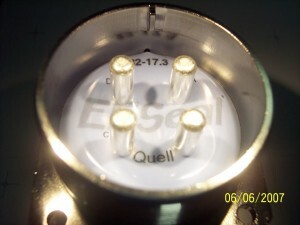 EESeal® EMI Filter inserts can be Custom Made to Fit in Any Connector and are smaller, lighter, and more easily installed than filtered connectors, filter adapters, and other types of EMI Filters. MIL-C-38999, MIL-C-26482, MIL-C-5015, MIL-C-83723, ARINC, Lemo, MDM, DSubminiature and custom connectors too! Custom pin assignments-allows use of a variety of capacitor values, MOVs, and other components. Custom labels and part colors available, and we can ID individual parts or part types by label or color. Discrete capacitors ranging from .5pF to 1uF with voltage ratings from 25wvdc to over 1000wvdc are available, and you can add MOVs, resistors, and other components too. EESeal® fits where nothing else can. 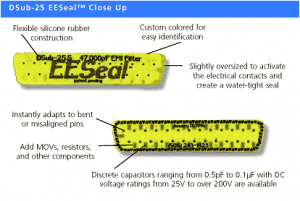 EESeal® creates & exploits silicone body compression. 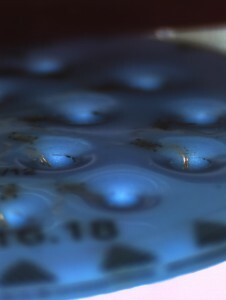 You can see how the EESeal® adapts to mating forces within a connector by looking at an EESeal® that has been in a mated connector pair for some time. The top and bottom surfaces of the EESeal® will take a set into the positions it sees in the mated condition. 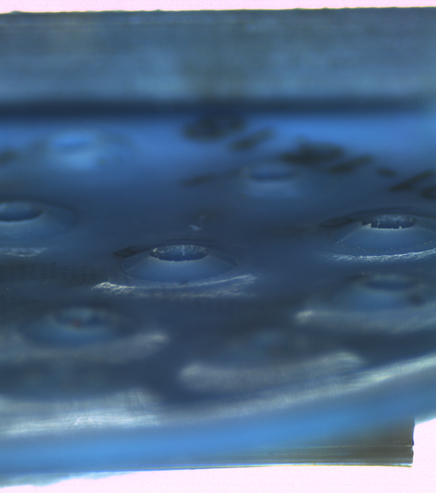 View or download our printed EESeal® Data Sheet. View/Download a QuickTime Version here.